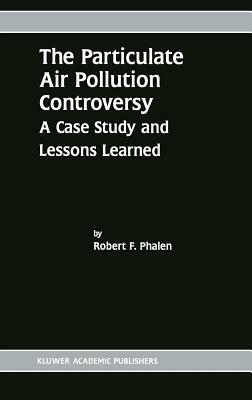 The Particulate Air Pollution Controversy: A Case Study and Lessons Learned (Hardcover) | The Drama Book Shop, Inc.
Small invisible particles in the urban air, especially those produced by human activities, have recently stimulated intense scrutiny, debate, regulation, and legal proceedings. The stakes are high, both with respect to health impacts and economic costs, and the methods used previously to resolve similar issues are no longer adequate. Everyone on earth inhales thousands to millions of particles in each breath, so if urban particulate air pollution--particulate matter (PM)--is significantly hazardous, the negative impact on health could be staggering. Yet the activities that generate PM, such as farming, manufacturing, mining, transportation, and generating electricity, are themselves essential to human health and welfare. Scientists, regulators, legislators, activists, judges, lawyers, journalists, and representatives of the business community are actively involved in addressing the question of what should be done. This complex issue presents opportunities for critically assessing the relevant knowledge and for adopting more rigorous approaches to this and similar problems. What is the PM controversy, and why is it a good case study for how science and public policy might better interface? The PM controversy is the sum of the frequently heated debates related to the potential health risks from urban PM.